One of the great things about custom reusable bags, aside from the fact that they are great for the environment, is that they are so versatile and can be customized to make a perfect fit for your demographic. The design and customization opportunities of custom reusable bags are as numerous as the ideas you can come up with, but because custom reusable bags are loved by pretty much every segment of the population, they are a great marketing tool. Custom reusable bags make easy work of toting groceries home from the store, bringing work home from the office, carrying a change of clothes to the gym, packing a great lunch or helping folks carry whatever else they need to tote from place to place. Add this to the fact that custom reusable bags have been proven to be an effective marketing tool, that offer years of great ROI on your marketing dollar, and you begin to realize the great marketing potential in reusable bags. Tradeshows and Events – Exhibiting at a tradeshow, is a great way to connect with customers, vendors and other folks in your industry. Attending any industry event gives you the chance to build a relationship with key players in your industry. Giving people a custom reusable bag with your branding information printed on it is a great way to keep your brand relevant long after the tradeshow or event is over. Resale – Add reusable bags to your retail lineup. If you have a brick and mortar location or an online shop, add some customized reusable bags to your inventory. Your faithful customers will pick up your branded gear, like reusable bags, to show their support of your brand and to show their eco-friendly committment and your brand will benefit from this exposure. Include a reusable bag customized with your branding info as a free gift with purchase – You may be a fan of the Lulumon custom reusable bags that they give away with purchases. Their loyal fan base certainly loves them. The bags are even resold on Ebay and do the work marketing for the brand by building relationships with their customers through the free, eco-friendly gift. You can set the parameters for receiving your free gift. Maybe you include your branded reusable bag for customers who place frequent orders, or maybe a customer has to place an order that hits a certain price point in order to get a branded bag. You can also decide if you will tell customers up front how to go about getting a free reusable bag, or maybe the free gift is a nice surprise that your customers begin to look forward to receiving when they shop with you. You could even create different bags and retire them after a certain period of time. Cross Promote – Partner with a company that has a similar demographic and create a reusable bag that features marketing information for both brands. 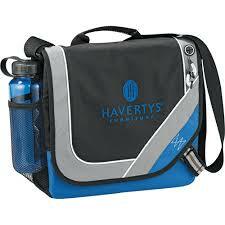 Give the bags to the top clients or prospects for both brands. Sort through these lists ahead of time to avoid duplicates. Customers who are loyal to both brands will appreciate the branded bag and will help get the word out by carrying your custom reusable bag. Plus, customers who are only familiar with one brand will learn about the partner brand which will serve to increase their brand’s awareness. Sponsorship – Find an event in your area or an event that your customers are likely to attend and offer to sponsor the event and donate branded reusable bags. Whether your custom reusable bags are given out to the first 100 people to arrive, or maybe attendees have to visit a booth and sign up for a mailing list to get a free bag, you will get branded bags out to your target market and each time people carry your branded bag, they will spread your marketing message for many years to come. The versatility of reusable bags makes them ideal promotional tools for marketing your brand. These are just a few ideas for marketing with custom reusable bags. If you are looking for more ideas, or if you are ready to create your custom reusable bag for marketing, fill out a product quote request located on each page of our site and a member of our team will get back to you as soon as possible to get started. Next Next post: Could Plastic Loving Bacterium Clean Up Our Plastic Environmental Mess?